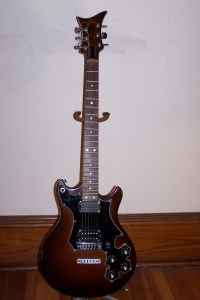 Search on Vermont Musical Instruments and key words 'Time guitar'. 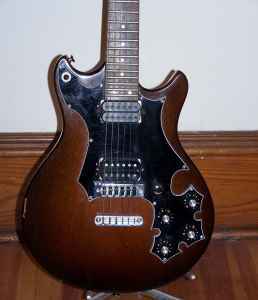 Original except the pickups - added a Seymour Duncan and a DiMarzio. Original Mighty Mite pickups included separately. 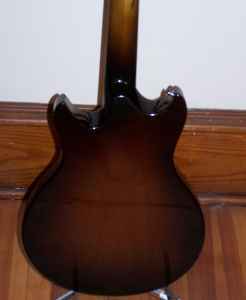 Guitar is in great shape cosmetically, a couple of scrapes, scratches and a small nicks on the headstock. Made in Vermont in the early 80's, high quality, local, not a lot of these left. 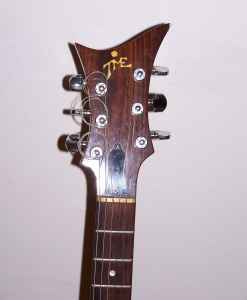 24 Fret neck, purchased at Boyd's in 1983. Do you know the serial number on this? I remember you had the original pickups put back in.